Saturday morning, I drove down to Portland to meet my wife and daughter, who had already been staying with my brother- and sister-in-law and their daughter since Thursday. Overall, we took it pretty easy, but enjoyed a good Valentine's Day dinner together and a nice walk in the sunshine yesterday afternoon, just before making the long, monotonous drive back up to Seattle. Typically, after a trip away from home, we like to relax and do as little as possible, but today was an exception. Since I had the day off from work, we left in the early afternoon to grab some lunch at Quiznos and then take it down to Seahurst Park to eat. It was a clear and sunny day in the Seattle area, but we hadn't planned for the biting wind that we encountered down on the shore of the Puget Sound. Heidi threw a bit of a fit as soon as we got out of the car, but once her mom got her all wrapped up in blankets, she went to sleep. We then took some pictures (like the one below) and enjoyed our lunch. After eating, we decided it was best if we got out of the wind, so we packed up the car and took a trip back to the Southcenter mall. Katie looked at some glasses; we explored the upstairs portion of the remodeled south end, including the new food court; and then I bought her some perfume at Aeropostale. Shortly after that, we packed up the car again and made our way north to Capitol Hill. While our posse was on Broadway, we saw someone cross the street in front of us who looked very, very familiar. 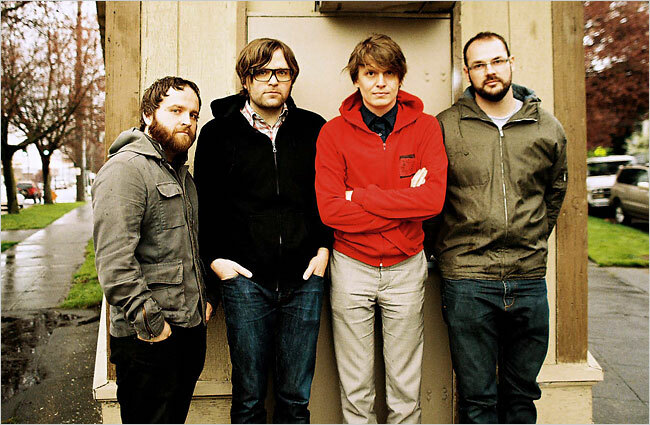 We couldn't quite place our finger on it, but eventually my wife and I agreed that the most likely candidate was the bassist from Death Cab for Cutie. However, now having had a chance to do some research, we've decided it wasn't Nick Harmer (who incidentally graduated from my high school). But now we have no clue who the guy was, even though we're still sure he was in a famous band, and it's pretty much killing us. We eventually found what we were looking for -- a shop called Bliss Soaps at the north end of Broadway. We go way back with one of the owners (almost worked with him on a website redesign, in fact), so it was good getting back in touch with him and seeing how well the business is doing in the new location (he used to sell the soaps at Southcenter mall, in fact). After purchasing enough soap to last us at least through the fall (my wife argues otherwise), we drove back south and picked up some Mexican food before heading home. All-in-all we spent about six hours out-and-about with Heidi, and she seemed to enjoy it. It was a lot of fun for Katie and me, too, and we're already starting to think about what other kind of day trip/adventures we can partake in as the weather gets warmer in the weeks and months ahead. Next weekend, we actually head south to Arizona to visit with family and experience some much warmer weather, so that will be an adventure in its own right.